Saturday night, at the Genting Arena, Birmingham, Errol Johnson’s BCB (Black Country Boxing) Promotions presented a great night of boxing. 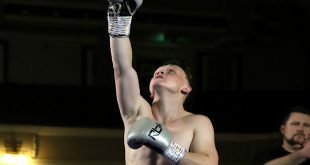 The show billed as ‘Now or Never’ – a reference to Frankie Gavin who was to have fought for an IBO title which fell through earlier this month - featured ten contests including four title bouts. Topping the bill, Craig Morris of Ludlow defended his IBO Continental Welterweight belt against Andy Keates of Leek. 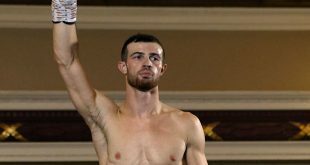 However, a clash of heads in the third round saw the champion sustain a nasty gash to the right brow which forced the stoppage by ringside doctors. The decision was a Technical Draw as it was within the four rounds. 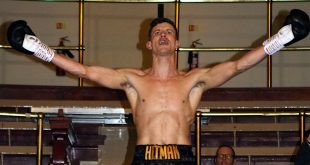 Andrew Robinson of Redditch won the IBO Continental Middleweight Title by majority points’ decision over Nicky Jenman of Brighton. 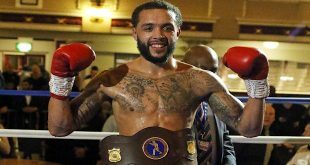 Wolverhampton’s Kyle Williams won the Midlands Area Bantamweight Title when Jordan Turner of Sutton-in-Ashfield retired in round seven. And Birmingham’s Kash Ali scored a second round TKO of Sheffield’s David Howe to win the vacant Central Area Heavyweight Title.